The church is on the verge of some tremendous changes. Contemporary church growth, despite its many blessings to believers, has failed to stem the decline of Christianity in the West. These times require a different kind of church-a church where every person is living a mission-sent life.The Bible uses the word apostles for Jesus' followers-that is, people sent on Jesus' behalf. In every existing form of the contemporary church-from the mega to the multi to the incarnational-some churches have taken the idea of apostolic mission seriously. Successful church leaders are discovering how to shift their existing resources and church structures into more adaptable forms to reach their communities.In this book, Alan Hirsch and David Ferguson share inspiring stories about leaders who have diagnosed their churches' failure to embrace a biblical model of mission and have moved toward a fuller expression of the gospel. 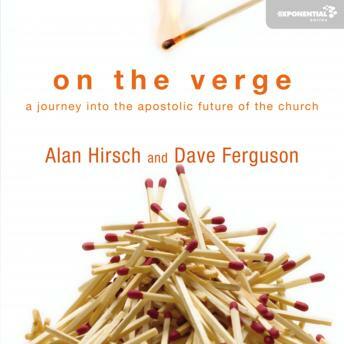 On the Verge will help pastors and church leaders discover how these forerunners and their insights are launching a new apostolic movement-and how any church can get involved.